Budapest is infamous for its historical architecture, and is a top destination for European students looking for a cheap holiday. But as a honeymoon destination? We think it's absolutely perfect! 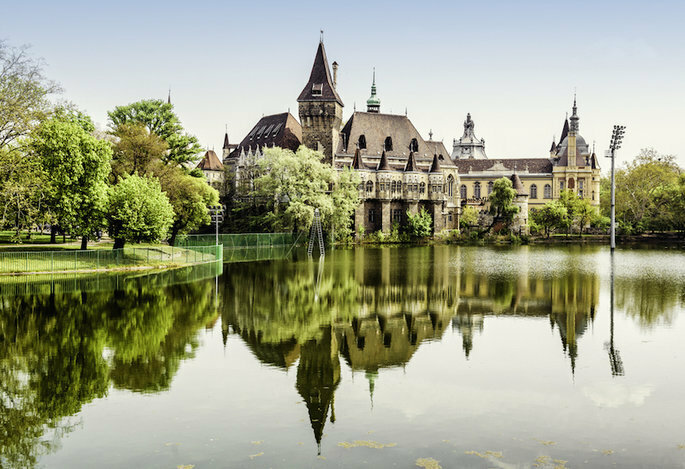 The historic nation of Hungary, located within Central Europe, often goes unnoticed by couples looking for the perfect honeymoon destination on the Continent. With the typically more “romantic” countries of France, Italy and Spain scooping up the vast majority of American couples, places such as Hungary don’t get much of a look in. And frankly, we at Zankyou are striving to rectify this! 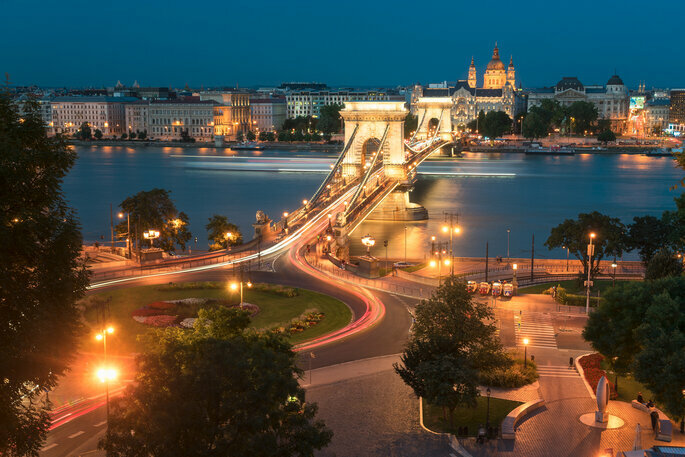 Picturesque, vibrant and a capital city that for once isn’t teeming with tourists, Hungary’s capital city Budapest is an unacknowledged gem within Europe – with its lesser-known nickname actually being the “Pearl of the Danube“, for its location along the second longest river in Europe. The city only became whole in 1873 when its two halves – Buda and Pest (no, we’re not kidding) – unified and became the modern capital as it exists today. However, the differences between the two sides of the city have remained, meaning that there is a large variety of culture available, with alternate traditions on either side of the river. Beyond this, there is a wealth of other reasons to choose Hungary for your honeymoon… read on! 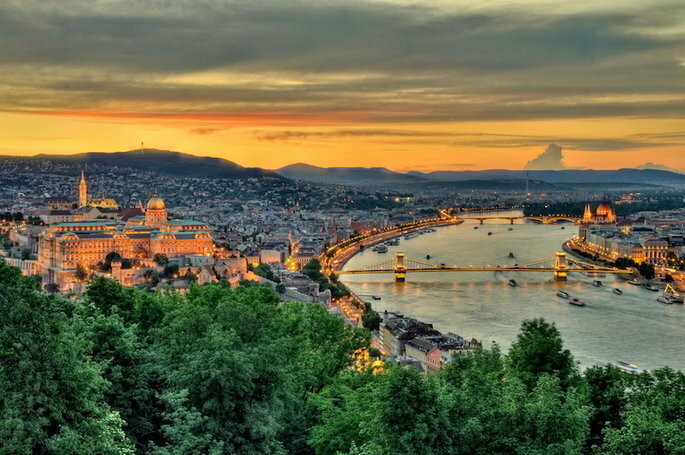 Budapest is the tenth most populous city in Europe, with a population of nearly 1.8 million people. Unlike a lot of other European cities, urbanisation has been slow to make itself known in Budapest – for example, the Hungarian government recently passed a bill banning the construction of skyscrapers to “preserve the traditional profile” of the capital – although there is a highly advanced Metro and Tram system that serves over one million daily. This is not the place to go shopping – Budapest boasts thousands of unique businesses, and you’re more likely to get good service and a great latte from one of their many one-off coffee houses instead of Starbucks. The most widely spoken language is Hungarian, with 99.6% of residents speaking it as their first language. However, whilst English is only known by around 16% of the population, this amount is triplicated within the capital, and you’ll never find yourself unable to get by. And though it is an EU member state, the Hungarian currency is the Forint instead of the Euro – 326 Forints make up one Euro, so be prepared for a lot of notes! 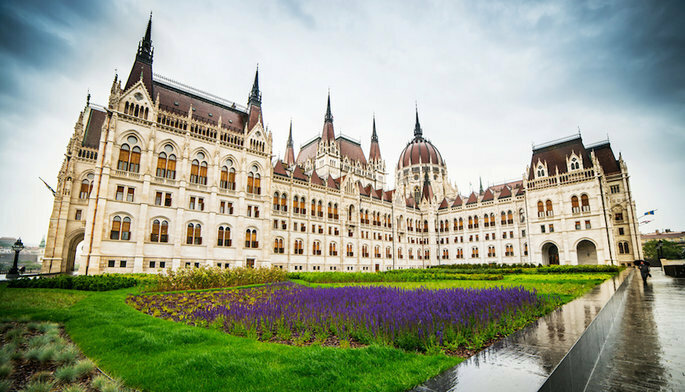 Regardless of the kind of honeymoon you’re planning, from romantic to adventurous, there is one thing you cannot miss seeing in Budapest – the Hungarian Parliament building. The third largest parliament in Europe, the Országház is the tallest building in the city (and likely to remain that way now! ), and its interior is indescribably beautiful, with decadent gold features, velvet drapings and high curved ceilings adorned with chandeliers. However, there is still a thousand other things to do in Budapest. St Stephen’s Basilica is another gorgeous old building that you can stroll through, and in Buda, you can get a panoramic view of the entire capital from most locations due its hilly topography. Buda also boasts most of the historical features of Budapest, with an imperial theme interwoven with the very fabric of its reality. 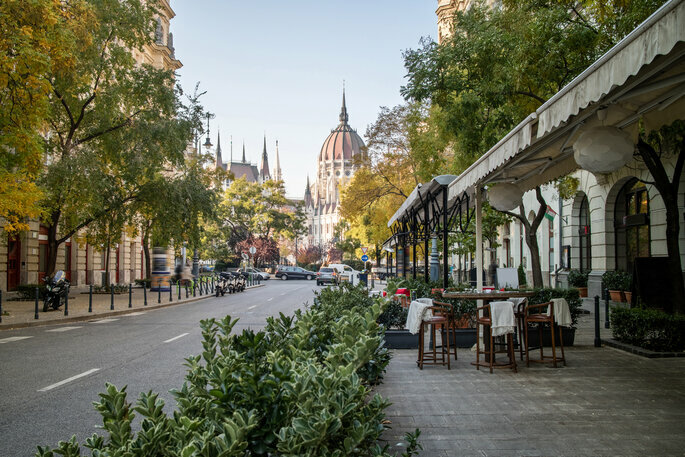 In contrast, Pest is completely flat, but full of vibrant cafés, bars and restaurants – the more modern half of the city indeed. 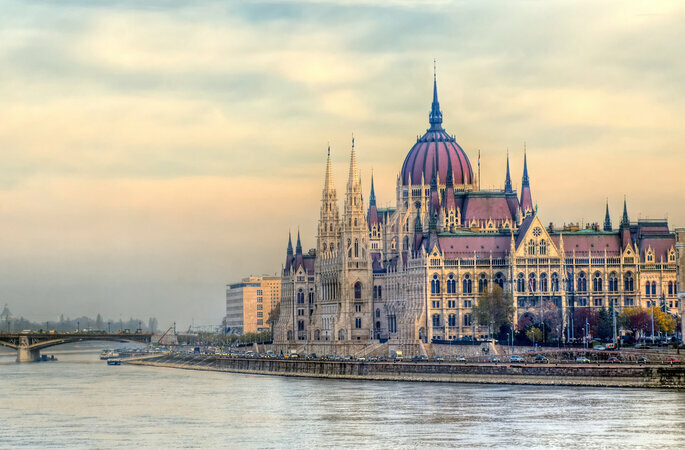 Other great places you can visit in Budapest include: Buda Castle, Castle Hill, the Danube Promenade, Matthias Church, Fisherman’s Bastion, and Hősök Tere. However, if you’re looking for a more relaxed city honeymoon, then Budapest still has an incredible array of activities on offer – including a very famous bathing complex. 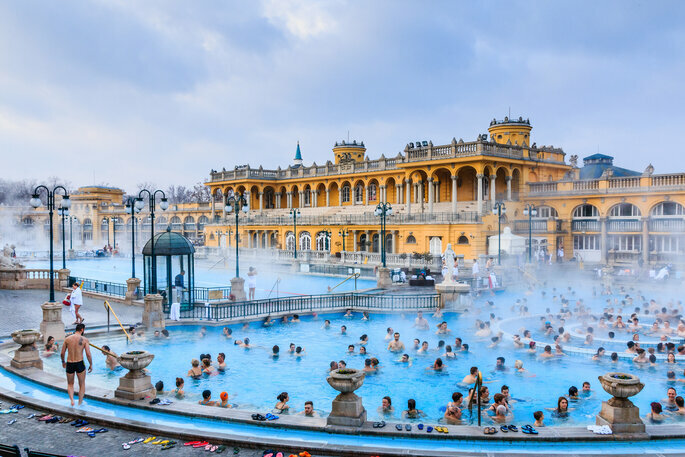 Built in 1913, the Széchenyi Thermal Baths is the largest of its kind in Europe, and the ultimate destination for a couple looking to de-stress together after planning and having their wedding. Made up of 21 pools, the Thermal Baths are perfect for your honeymoon! There is also no shortage of things to do as a couple. River tours are a dime a dozen, and you can even rent a private boat to take you down the River Danube – with beautiful views of the city, this is a very romantic voyage, and often includes private dining. 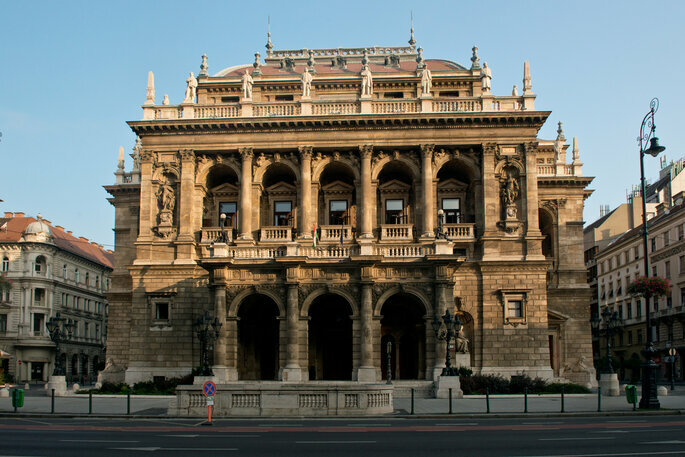 Budapest also has its own State Opera House, which is an unmissable venue showing off the musical talent of this great country. 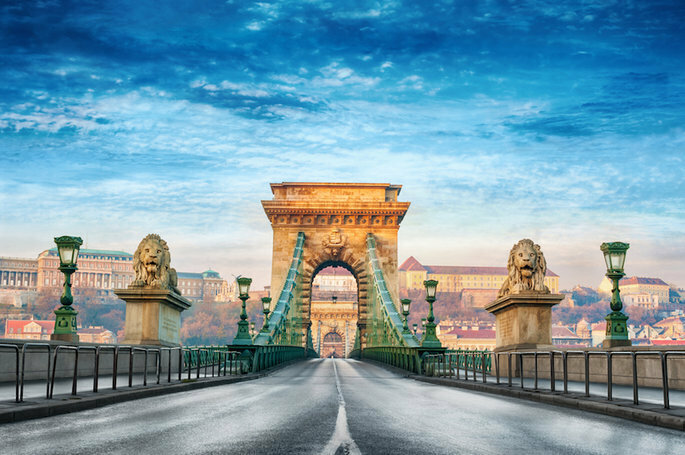 Beyond this, the true wonders of Budapest can be found in the markets and the stalls and the various family-run businesses, where you will encounter the locals, and learn a lot about the way that they live! It is important to be aware of the etiquette in Hungary before travelling there. Unlike other capitals such as Paris and Madrid where you can get away with elbowing someone out of the way on the metro, that won’t fly in Budapest. The Hungarian people value politeness over any other character trait, and so if you accidentally bump into someone, make sure you apologize! Good manners, such as showing respect for your elders, and showing deference to public officials – including the police – are also expected, even from tourists, so be on your best behavior in public! 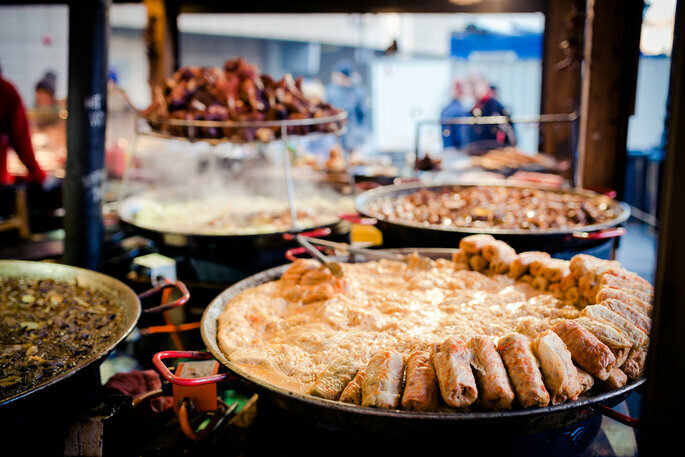 One of the best places to look for food is the Great Market Hall, which is full of vendors selling traditional Hungarian foods, such as lángos, goulash, görkölt (a meat stew), and dobostorta, which a layered cake traditional in Budapest. As for having something to wash the food down with, you’re in luck if you like spirits – beers and wine are always available, but you will find here a huge variety of vodkas and gins. However, don’t forget to try pálinka – a fruit brandy made up of plums, apples and apricots. You won’t have a chance to feel hungry – there’s simply too much to try! Due to the great public transport links, you don’t need to worry about staying in the centre of the city to ensure you don’t miss out on anything. However, given that this is your honeymoon (! ), you might want to splash out a little for a more upmarket hotel or apartment. One of the most famous hotels in Budapest is the Corinthia – described as “bastion of luxury”, here you can find intimate rooms, or Presidential Suites, all of which are decorated to perfection. Located on the Grand Boulevard, the Corinthia Hotel is very central, and very romantic. However, if you’re looking for somewhere a little more cosy, then you’re in for a treat. Quaint bed-and-breakfasts are dotted all across Budapest, all at very reasonable rates – and all with very friendly owners. Whilst Hungarians may be rather strict on manners, they are incredibly amiable people, and so if you have questions or problems whilst you’re there, there’s no shortage of people who will help you out! A charming city which retains its heritage and character whilst also modernizing along with the rest of Europe, Budapest is the perfect place to get away from the monotony of every day life, and to celebrate your wedding with your partner. So don’t delay, and book your dream honeymoon in Budapest now!